I'm currently in my 16th year as an educator. 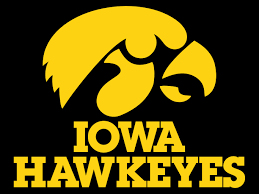 I graduated from the University of Iowa in 2003 with a degree in English Education. I landed my first job at West Aurora High School teaching English, and I stayed there for eight years, teaching British Literature, World Literature, American Literature, Speech, Grammar, Composition and Reading Intervention. In that time I completed Masters Degrees in both Curriculum and Instruction and Reading and Literacy. I came to Westfield in 2011 as the Reading Specialist and Literacy Coach. During the course of my day I serve many purposes, from coaching teachers in best literacy practices, teaching reading intervention, pushing into content area classrooms and running RIT band groups during acceleration time. Personally, I have been married since 2007 and have three kids: two boys and a girl. I have two dogs, and when I have free time, I like to read historical fiction. I love to watch Chicago sports and to spend time with family and friends.